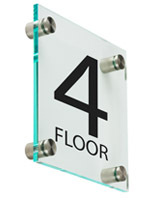 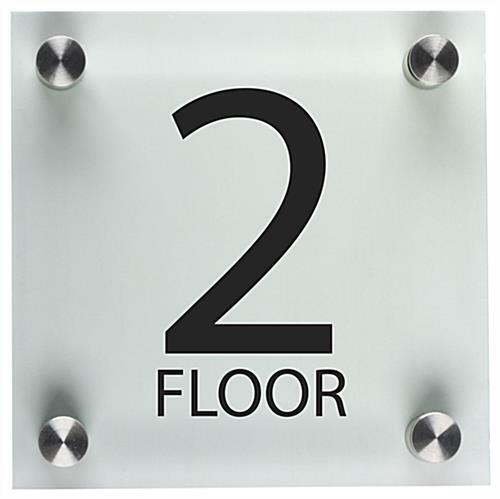 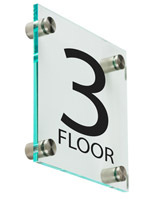 These pre-printed floor level signs are ideal for placement in buildings near stairwells, elevators and available exits. 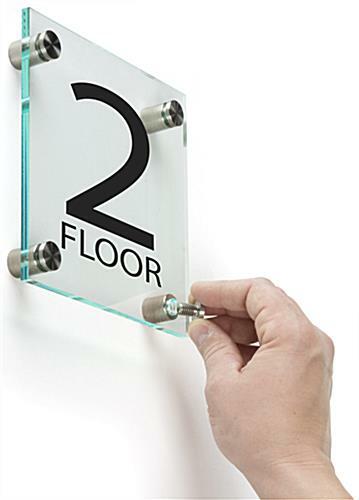 Each display consists of a sleek acrylic plate that features a green edging. 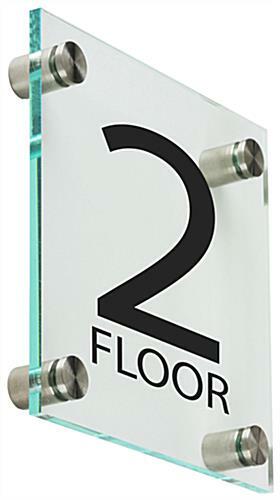 This type of floor level sign has a wall mounting design with edge grip silver standoffs made of stainless steel. 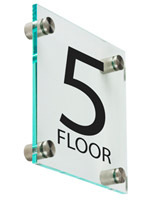 The signage features clear black printing made with a UV imprint process. 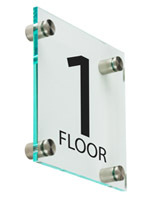 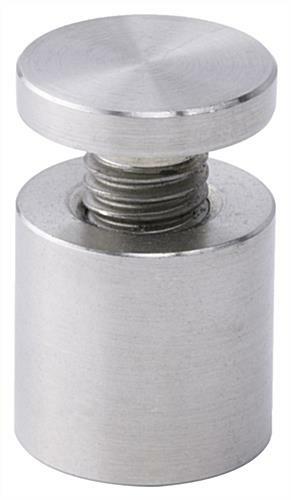 With the signs' modern silver standoffs and green edged acrylic, they can add a modern appeal to any building. 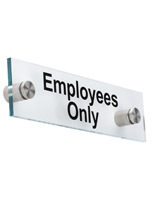 Available with a 6" x 6" display, these fixtures are easy to read from a distance.